Forty is the new twenty! 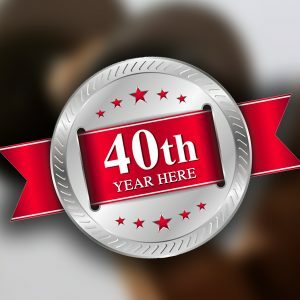 Forty isn’t old at all and there’s no reason why, beyond some severe medical condition or untreated injury, you can’t turn your fitness and physique around with the right approach. Physically, you still have the capacity to build muscle and to change your shape using strength training and muscle gain. Research reveals that a new breed of motivated mid-life-crisis contenders are turning to fitness programs in a bid to regain their youth. Over 40’s now represent the fastest growing age group in bodybuilders, according to a survey by the Bodybuilding Warehouse. The most frequent concerns from 40-plus people stems from low energy, bad sleep, having no time to train and poor food choices due to family life. Muscle has a higher metabolic rate than fat – and so the more muscle you have, the more calories you burn, not only during exercise but also at rest. Muscle requires more blood and oxygen to be supplied to it than fat and that adds to the energy expenditure. Among the exercises that we focus on at Colonel’s Fitness Program, are those designed to improve core strength and encourage greater flexibility. Moves such as single leg squats help to build stabilizing muscles and increase strength around the spine – they’re exercises that give the trainer a good assessment of the client’s condition and, once taught correctly, they can be done at home too. Diet is also critical. When I ask a client to list everything they eat and drink, especially drink, over a three day period, I usually find about 95 per cent of what they’re having is stodgy carbohydrate – sandwiches at lunch and lasagna at dinner – with too many ‘dead’ calories from alcohol that have no nutritional value. Focus on removing the highly processed meals where possible – taking it back to more simple, natural foods. Those that are on the list of essential eats for the forty-somethings include skinless chicken, tuna steaks, scrambled eggs and high protein peanut butter. The need for high quality protein isn’t just to nourish, grow and retain muscle – but also to help regulate your diet and reduce the intake of fattening foods. Once you start making a note of exactly what you’re eating and when it’s easy to identify the problems foods, the poor carb-to-protein ratio and the amount you’re drinking out of habit. I also can’t over stress the importance of setting goals and giving yourself challenging but attainable targets. Goals such as an event like a 10k race or weight loss target are vital to motivation because after 20 years of not exercising or working out that sedentary life is a hard habit to break. It can be all too easy to sack off the gym if you’re not really motivated to push yourself. Congratulations Brian, Bullett still buts the gym every morning.